For thousands of years the Chinese have enjoyed the many benefits that Tai Chi has to offer. Today many individuals of all ages and backgrounds from around the world are discovering what the Chinese have known for centuries, that the daily practice of Tai Chi can manifest dynamic and powerful and positive changes in one’s physical, mental and spiritual well-being. About us, on this site you will find valuable articles (visit our blog, A Cup of Chi), browse our facebook posts where recent Tai Chi related topics will be posted. 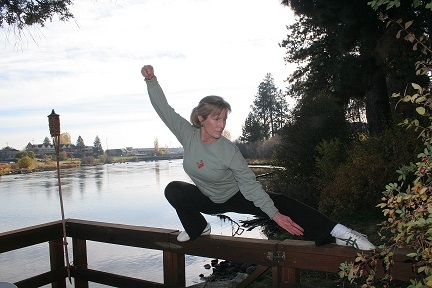 We strive to bring you the most up to date information regarding Tai Chi and Health. Stay connected with all that is happening with us! Like us on facebook and subscribe to our newsletter, to make sure you don’t miss the latest news regarding Tai Chi and Health. To find out more about our Tai Chi for Strength and Balance Program please click on the link below. Our goal is to provide you with quality resources dedicated to improving physical fitness, mental clarity, and spiritual well-being through the practice of Tai Chi. Tai Chi offers these gifts to anyone who truly embrace a sincere study of the art.